Health disparity in relation to educational background is minimal among South Carolina’s residents. America’s Health Rankings, a comparative report by the United Health Foundation, puts South Carolina at 10th place among states with the least percentage of health disparity. In addition, avoidable hospitalizations per 1,000 Medicare beneficiaries decreased by nearly 17% in the last 5 years. However, the state’s overall health status ranked at 43rd place. Obesity and diabetes, two medical conditions that often result in needing long term care, prevail among the population. In fact, 11.6% of South Carolina’s adults have diabetes – one of the highest incidences of this ailment in the country. In 2025, Alzheimer’s will affect 100,000 senior South Carolina residents, according to estimates by Trust for America’s Health. 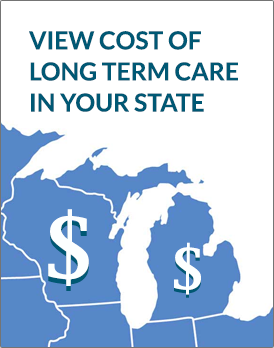 Below are the average daily cost* of long term care services in South Carolina. FlexCare, MedAmerica’s insurance product with long term care coverage, underwent changes to its marital and health discounts on October 12, 2013. South Carolina comprised the states where these changes in the discount system took place. MedAmerica implements the revisions on a per-state basis. Almost one month later, on November 11, 2013, Genworth released its Privileged Choice Flex 2 LTCI product to be sold to interested South Carolina residents. This product comes with four options for underwriting: Preferred Best, Preferred, Select, and Standard. Aside from gender, the enrollee’s health and age determine Privileged Choice Flex 2’s pricing. Citizens of South Carolina can also enroll for LTCI through American Republic, John Hancock, Massachusetts Mutual, Monumental Life, New York Life, Northwestern, and State Farm. On January 1, 2009, South Carolina effectuated its Long Term Care Partnership Program, an initiative that can protect the assets of policyholders. The number of South Carolina’s Medicare beneficiaries totaled 783,904 in 2011. This figure equaled to an estimated 17% of the state’s population. Medicare pays for the skilled nursing care in facilities, home health care, and prescription drugs that long term care recipients need. Meanwhile, the South Carolina state government is not expanding its 2014 Medicaid coverage to adults with limited incomes due to concerns about cost. States with expanded coverage anticipate a 12% rise in Medicaid enrollees by June 2015; yet, South Carolina expects an even higher rate of increase at 16%. New beneficiaries will mostly consist of children rather than adults, and this trend is also predicted for a few states that declined Medicaid expansion. Provides web services that help residents in searching for LTC resources and nursing facilities. Has a handbook that introduces people to long term care facilities. Gives info and resources about programs and topics that are related to LTC.